Light & Darkness Radio: Featured Today! "Periphery, Minora..."
I apologize for the waiting! Thank you so much for the support, You guys Rock! \m/ Now Here's today Featured Bands!! Periphery (USA) - Hailing from Washington DC, Periphery is one of the freshest progressive metal acts on the scene today. With their signature blend of polymetric grooves and soaring melodies, the band continues to push the envelope of modern metal music. The Band released their first full length album 'Periphery' on April 20th in 2010. It debuted at #128 on the Billboard Top 200, as well as #2 on the Billboard Heatseekers chart. 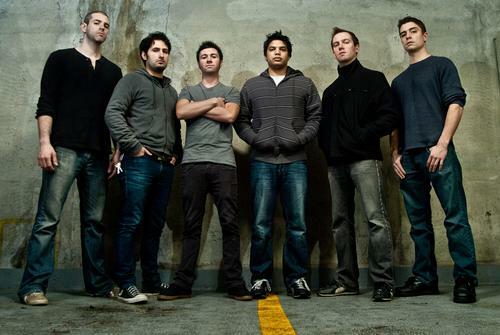 Periphery formed in 2005 and currently consists of Misha 'Bulb' Mansoor, Jake Bowen, and Alex Bois on guitars, Thomas Murphy on bass, Matt Halpern on drums, and Spencer Sotelo on vocals. Since its inception, the band has been relentless its effort to have their music be heard. Allowing free access to almost their entire catalog, including over one hundred and thirty download-able songs, this self produced band is seeking to redefine the way music is experienced. Periphery has toured extensively since 2008, supporting artists including DevilDriver, Emmure, Veil of Maya, Animals as Leaders, God Forbid, The Dillinger Escape Plan, A Life Once Lost, This Time Its War, Tony Danza Tap Dance Extravaganza, Fear Factory, Darkest Hour and Fair To Midland. The band’s first European headline tour in early 2011 titled 'The League of Extraordinary Djentlemen' with TesseracT, Monuments and The Safety Fire was a huge success. And there is more to come! Their new 'Icarus EP' will be released April 19th. Minora (SWE) - The Gothenburg, Sweden based band Minora adds unique aspects to their metal sound with a mix of alternative post-rock and progressive elements. The result has been turning the ears of many in the metal/rock scene after countless shows and re-invention. Minora got together in the current lineup back in 2008 and during the same year started to write material for their debut album, “Imago“, to be released January of 2011. The recording was done at Svenska Grammofonstudion (Dark Tranquillity, The Haunted) in Gothenburg and mixed/mastered by David Castillo (Katatonia, Bloodbath, Opeth) at Ghost Ward in Stockholm during 2010. The album is full of dynamic heavy guitar-driven songs and even includes a cover of Björk’s “Jóga”. The band also employed the design skills of Shelby Cinca who has done work for Dillinger Escape Plan “Ire Works” and Darkest Hour “Hidden Hands of the Sadist Nation” and “Mark of the Judas” to visually represent the album.Minora’s debut establishes the band’s world sonically and visually of one full of dynamism and atmospheric journey. Minora has performed as opening act for the metal band Evergrey in 2009 and have done numerous shows which have given them the recognition for being a band that communicates great emotion via their heavy driven sound. After the release of “Imago” the band plans on supporting the album throughout the year as well as continuing to hone their sound. This is the beginning… the birth. One Without (SWE) - Since the release of “THOUGHTS OF A SECLUDED MIND”, the debut album byONE WITHOUT, which was released by Lifeforce Records in 2009, the band has been touring with Evergrey, Katatonia and The Genitorturers, shared stages with bands like Soulfly, Epica, Doro, Krypteria, Paradise Lost, Carpark North, and All Ends, performed at festivals, performed live in Swedish national radio, received tons of great reviews and has been interviewed and featured in numerous magazines and radio shows all over the world. THOUGHTS OF A SECLUDED MIND” was released in North-America, Europe and Japan with great response from media and fans all over the world, bringing together fans that acknowledged a new sound in the metal scene. With the second album by ONE WITHOUT, titled “SWEET RELIEF”, the band brings back their trademark sound, and takes it to a new level. “SWEET RELIEF” was mixed by Mattias Wänerstam (Avatar, Within Y, Suicide Nation) and mastered by Dragan Tanaskovic at Bohussound (Mustasch, Europe, In Flames, Evergrey). 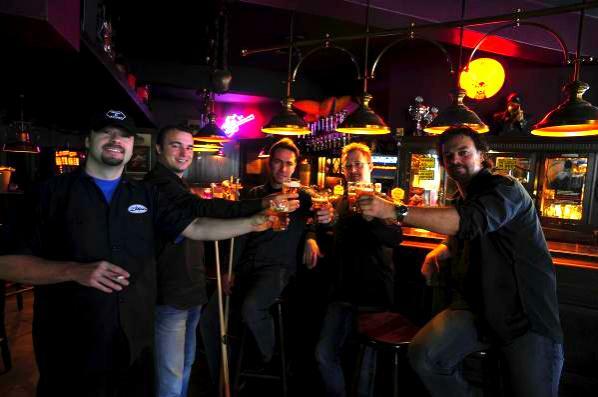 The Barstool Philosophers (NET) - Dutch band THE BARSTOOL PHILOSOPHERS was formed by long time friends Ivo Poelman (guitar) and Martin Kuipers (drums) back in 1997, albeit nameless in the initial phase. Mark Portier (bass) and René Kroon (keyboards) hooked up with them shortly after, and in 2002 the band was completed when Leon Brouwer (vocals) joined in 2002. Portier left the band in 2004 in a case of opportunity knocks though, but his replacement Bas Hoebink (bass) turned out to be a good one, and with that minor line-up alteration dealt with the band started developing their style in earnest. Five years down the line and The Barstoool Philosophers make their debut as recording artists with the CD Sparrows. The album gets plenty of good reviews, and they are amongst the lucky few who got to experience sales good enough to warrant a second pressing, which isn't too common an experience in this day and age. As of September 2010 The Barstool Philosophers are planning their follow-up album, with tentatively set for release sometime in 2011. 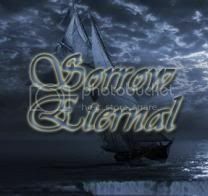 Event (USA) - EVENT is a cutting edge Prog/hard rock band from New England. The band was formed out of an ensemble at Berklee College of Music in 1996. The band recorded their first album "Electric Skies" in 1997 and licensed the debut in 1998 in Japan, Europe and South America. The band has a wide variety of influences that create a unique, sophisticated, driving sound. Over Christmas of 1999 the band began recording their sophomore release "Human Condition." EVENT has teamed up with Jim Pitulski and Inside Out Music America for the album's nationwide release in early 2001. EVENT combines its hard guitar driven riffs with elements of techno loops and some intricate passages to satisfy the tastes of any Prog listener.